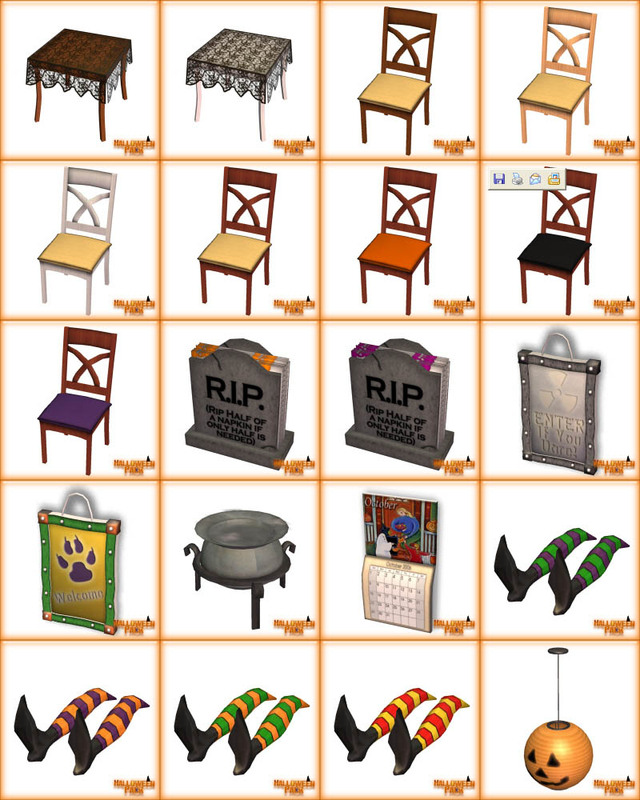 IT'S NOW OFFICIALLY TIME TO PACK UP THAT SUMMER STUFF AND DECORATE FOR HALLOWEEN! 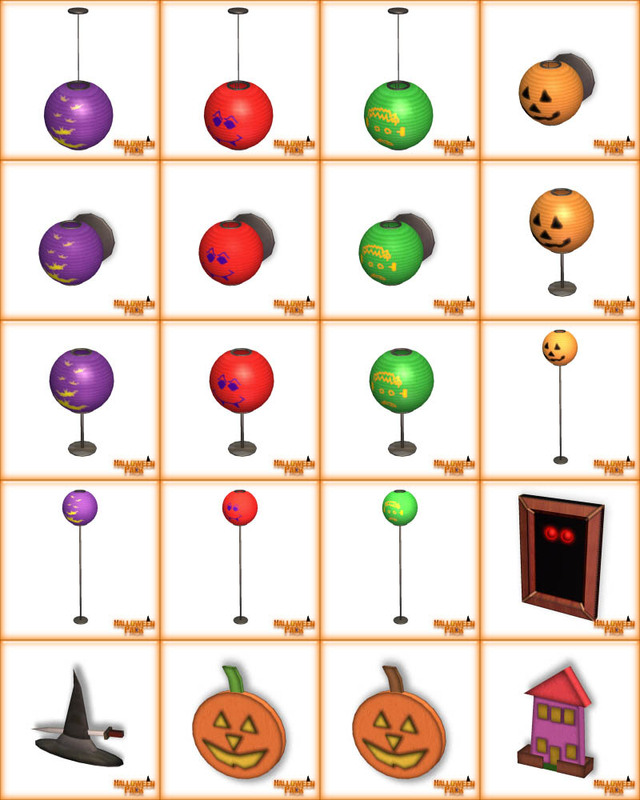 MOST ITEMS ARE DECORATIVE! Here are the instructions - if you want an automatic .exe setup file you can only download that in the link above. 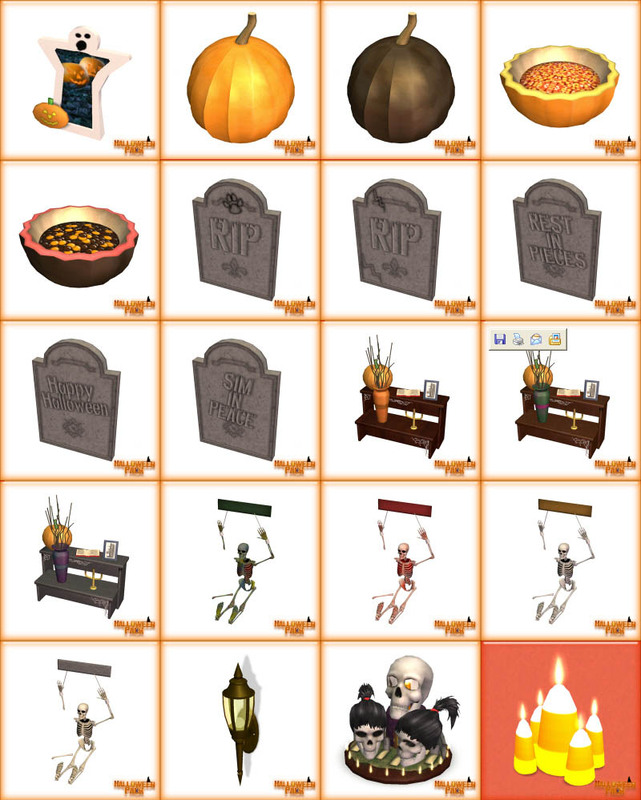 The Sims 2 Halloween Pack is all in one zip file that includes several zips in it. So here is how you install the zip files. PLEASE READ THIS TO INSTALL CORRECTLY (MUST USE THIS IF YOUR GAME IS NOT IN ENGLISH) You can choose anyway you want to install it. Manually or with the setup.exe. 1. Save the zip file to the desktop when you click on download now. 2. Open up the zip file and extract those zips to your desktop. 3. 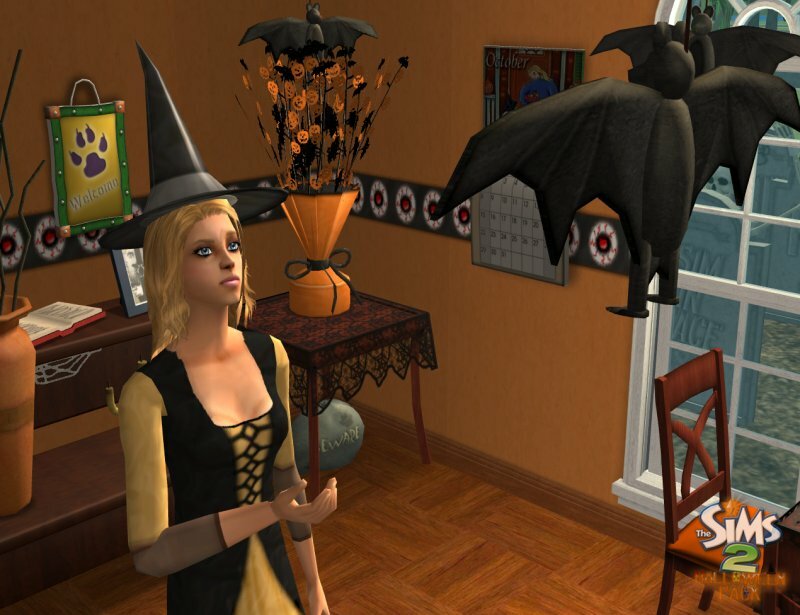 Now open the s2halpdownloads.zip and extract all the files to My Documents / EA Games / The Sims 2 / Downloads. 4. Next open the s2halpcollections.zip and extract those files to My Documents / EA Games / The Sims 2 / Collections. 5. That's it! Your done, go in the game and check it out! If you have music go to the next step to put it in your game. 6. Now open the s2halpmusic.zip and extract all the files to My Documents / EA Games / The Sims 2 / Music which will be in techno in the game but don't include that in the extracting and when you play it on a stereo in the game it will be there! Enjoy! If you need help email me! This pack took me only 1 month and a half since i only had that much time to do it, so i usually have 4 months to make a pack with 40 objects, but i think i managed my time well. I'm still 14, lol. Just like when i made the summer and easter pack. That age won't change until march. Thank you for everything and thanks for people who've helped some of my problems on the way! Enjoy the pack! Best wishes and Happy Halloween! 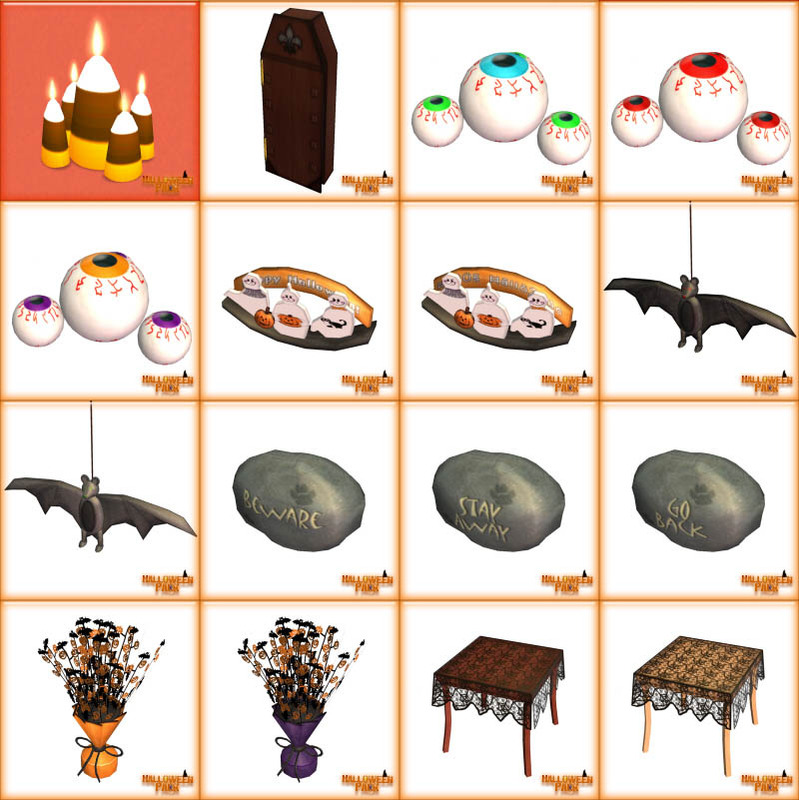 All objects and recolors and other things can be seen at my site, there is just too many images to post here.